The Spurs have one more game to work out the kinks before the real fun begins. The Spurs close the preseason tonight in Orlando before the 82-game gauntlet known as the 2018-19 regular season begins. With so many new faces, a couple of injuries, and some wild numbers on both sides of the ball, the Spurs have had a roller coaster of a preseason, but regardless this is their last chance to work out some kinks before the real fun begins. Before losing two players — including his starting point guard — three games into the preseason, Gregg Popovich cited a study showing that it is healthier for players to get plenty of run in the preseason to prepare their bodies for the regular season than to rest them too much. Even after the aforementioned injuries, Pop remained adamant that he wouldn’t be resting any players. So far he has mostly stuck to his word. LaMarcus Aldridge is the only (healthy) main rotation player who has sat out a game, and while newly-minted starting point guard Derrick White is going to sit tonight’s finale out with some slight soreness in his heel, this is mostly being reported as a precautionary move to make sure he’s completely healthy for opening night. 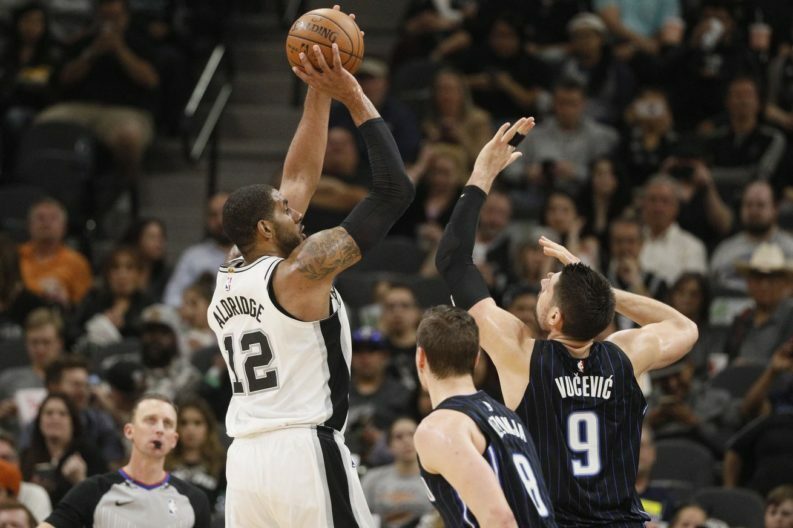 The Spurs obviously need to do whatever it takes to keep White (and any of their other remaining guards) healthy, but time is also not on their side as they prepare for October 17 and beyond, so how will Pop approach tonight’s game? Will the bout of injuries convince him to rest even more players, or will he go about business as usual in the last meaningful minutes his players will see before the rubber meets the road? For now it looks like he still plans on approaching this game like he has all others: as if it matters, but still don’t be surprised if he splits it down the middle with a normal rotation in the first half (with Patty Mills starting at point guard) before taking his remaining healthy core out of harm’s way for most if not all of the second half. It’s been a long and trying offseason, and from an injury standpoint the preseason hasn’t been much friendlier, but there may be no team more ready to put the past behind them and start anew than the Spurs. Five days. For the Magic fans’ perspective, visit Orlando Pinstriped Post. PtR’s Gamethread will be up this evening for those who want to chat through the game. You can also follow along with the action through PtR’s Twitter feed.